my oldest child is in preschool this year and watching him progress has been so much fun! he’s always loved numbers and letters. so when he started to practice writing, he was very excited to see that he could make those same letters and numbers he sees every day! he’s learning the proper ways to write them – slants, hooks, etc. – as well as which part of the letter gets written first, and in which direction he should write each component of the letter. 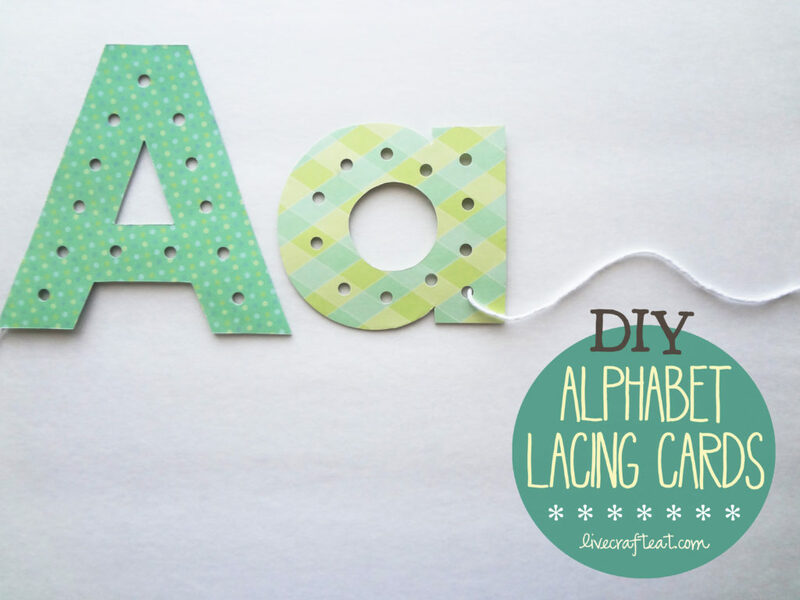 to capitalize on his excitement and because he’s just having so much fun learning how to write, i made him a bunch of alphabet lacing cards that we can take with us in the car, to church, or even to play with at home. anyone who subscribes to my blog (top right corner in the sidebar…nudge, nudge, wink, wink ;)) would know that in many of my other projects i substitute chip board with cereal boxes. you can see those projects here, here, & here. it’s obviously much cheaper (since it’s free!) and it’s being resourceful, so why not?! 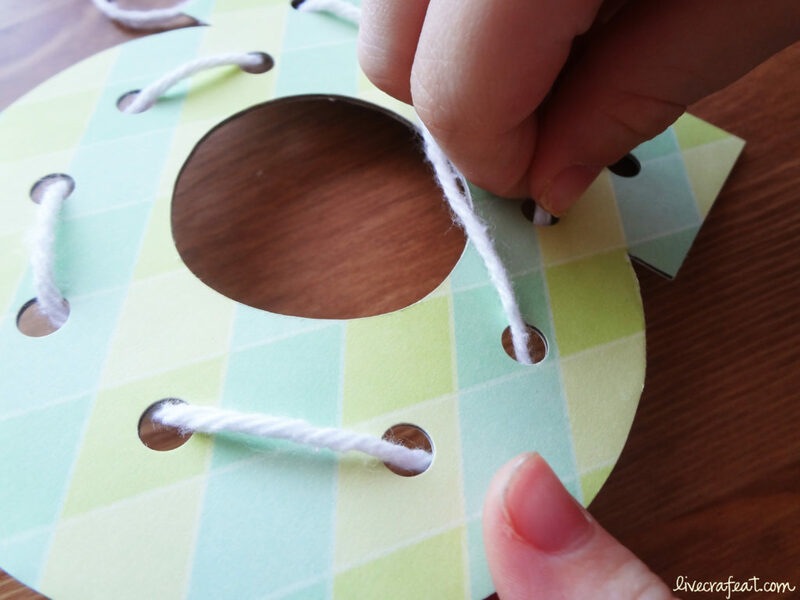 empty cereal boxes work just great for this project – they’re thin enough that you can cut through them, but thick enough to give your lacing cards some durability. 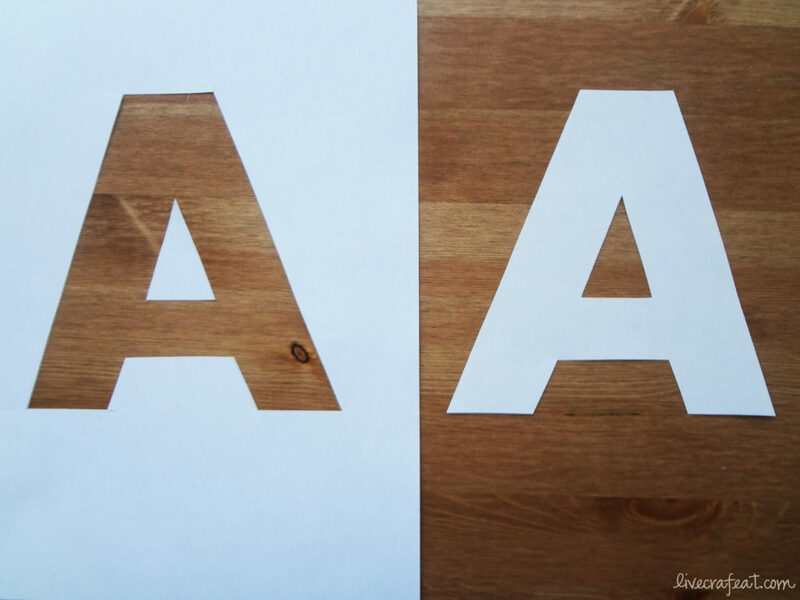 *letters – you can pick your favorite font and print out the alphabet to whatever size you want. i used a font called “aharoni.” it’s not one i downloaded from somewhere, i think it’s just one of those default fonts that comes when you buy the computer/programs. the only drawback with it is that while the capital letters are awesome, the lower-case letters don’t all look like normal lower-case letters, ie. the “j” doesn’t have a hook on the bottom, nor does the “q”, etc. so if you want just the capital letters for this font, you can download them here. and here’s what to do! 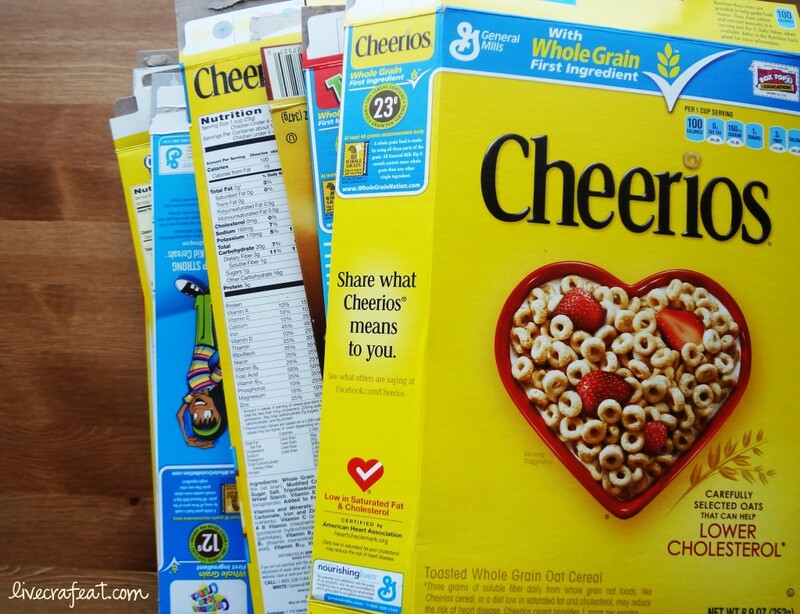 1. first thing’s first: grab some cereal boxes. i have this thing about saving mine…i always think i can use them for something, so i have lots. plus, we eat a lot of cereal so it’s not hard to amass a bunch of them. 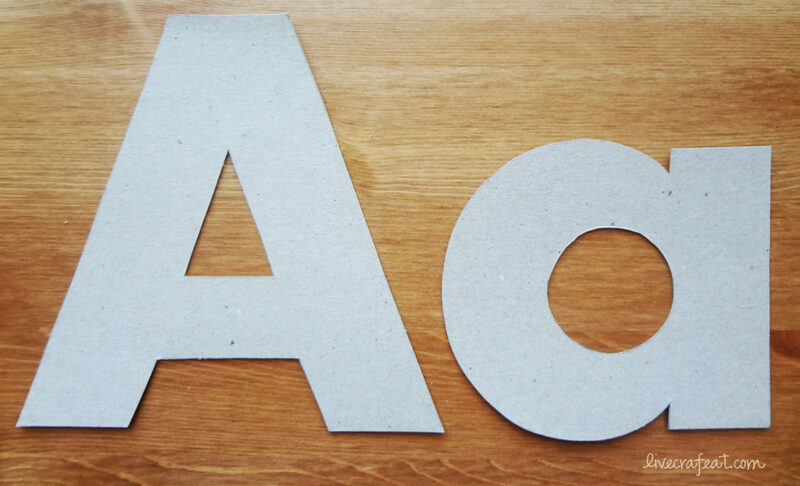 2. next, take the letters you printed out (or draw your own) and cut them out. these are your templates. …and cut them out! (use an exacto knife to get out the middles if you need to.) 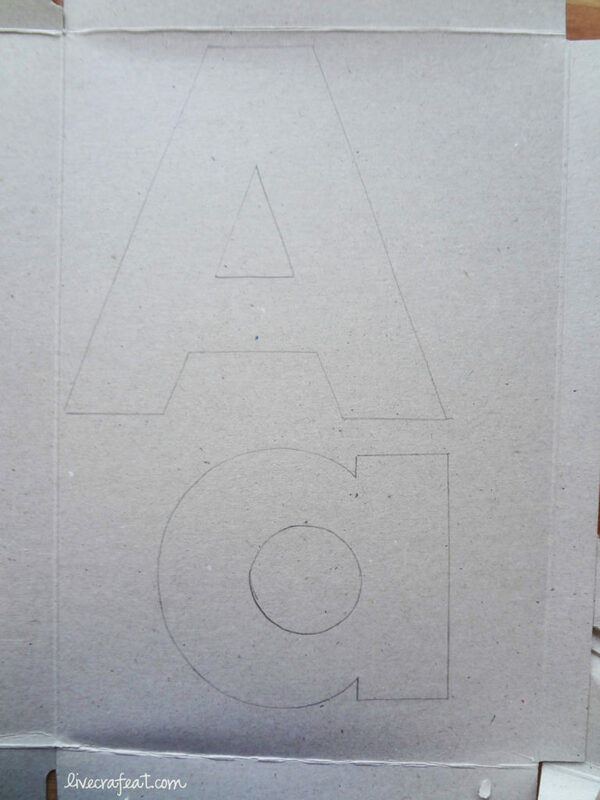 see – just as good as buying chipboard, and with minimal time & effort! and you’re going to cover them with paper, so no one will ever know! 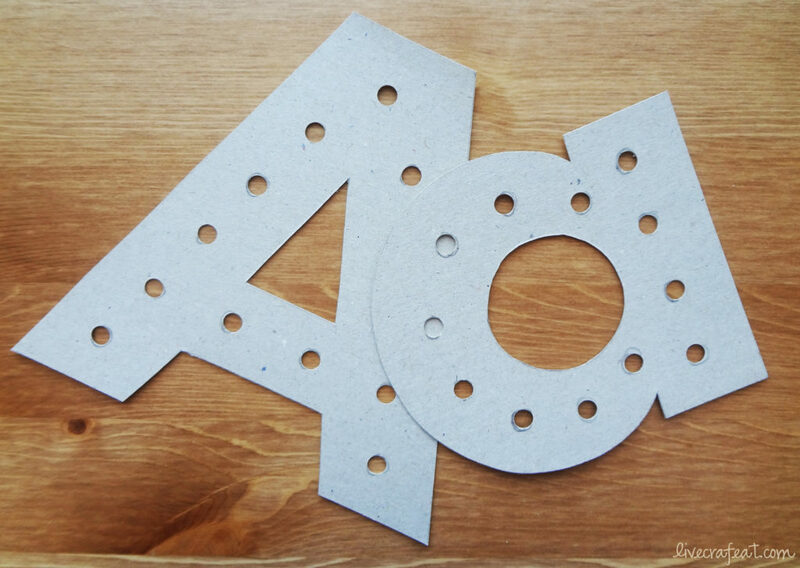 4. next, plan out where you’re going to put your holes so that they are more or less consistent & even. i decided to this at this stage vs after it’s all put together because i wanted to be able to erase my markings if i needed to. but you could do this step at the end if you wanted to. 5. punch your holes. you can do this step at the end, too, but i figured i’d rather punch the holes several times (once now, once when the 1st side of paper is on, and once when the second side of paper is on) with thinner pieces of paper to punch through than all at the end – you can do it, but i didn’t want to bruise my hand punching so many times through 2 pieces of cardstock AND a cereal box. it does get pretty thick. but it’s up to you! 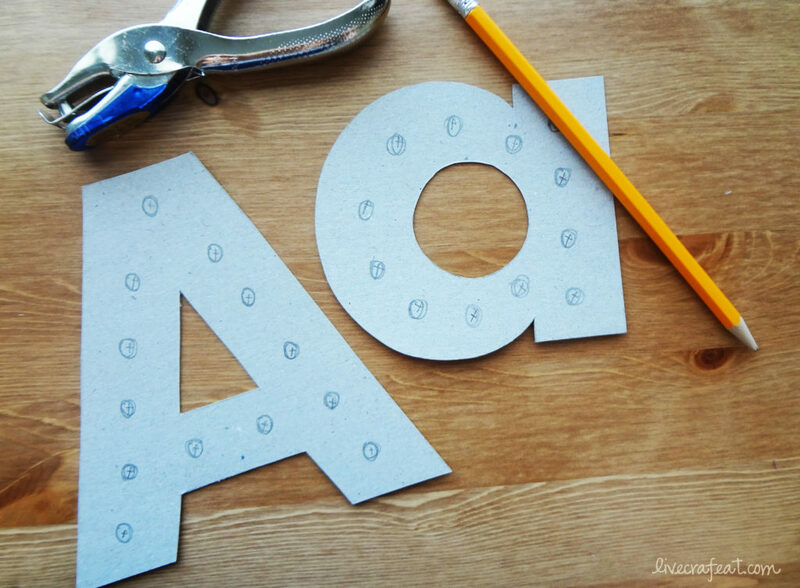 6. mod podge your letters on to paper. first, one side (and if you’re punching holes after ever step like i did, punch them after each side so you know where to line up the hole punch), cut out the letter. then pod podge the other side. punch out your holes. 7.to make sure your paper doesn’t separate, you might consider putting a thin layer of pod podge along the outside of each shape. not necessary, but it certainly doesn’t hurt! 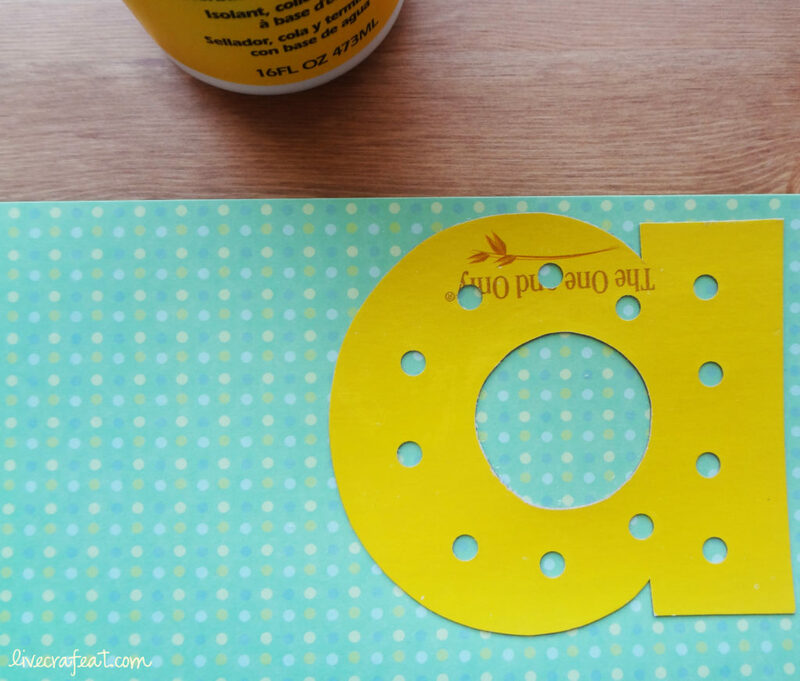 and since you have the mod podge out already…. 8. you’re almost done! 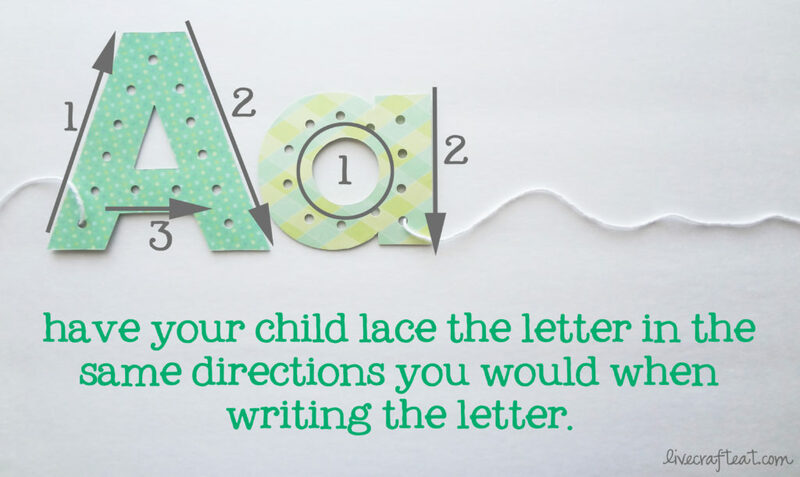 get your letter and a length of string. longer is better – remember, you can always take some off if you need to, but you can’t add more on. 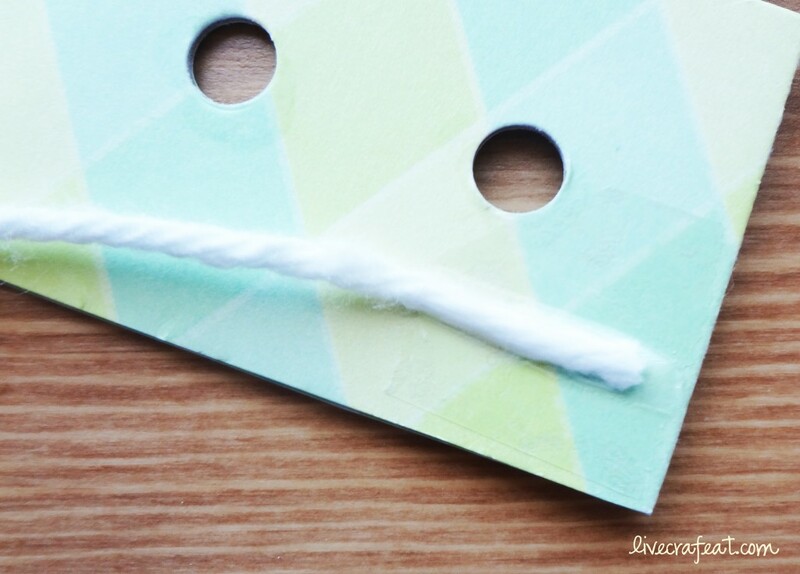 9. take a small piece of tape and attach the string to the back of your card. keep in mind where your child will start “writing” the letter, ie. at the top? on the left side? 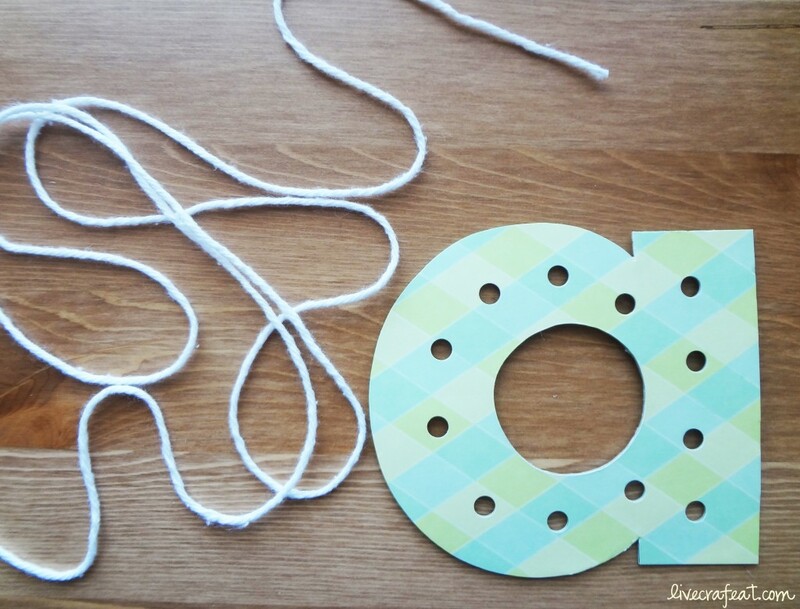 10. lace your letter to make sure you have the right amount of string. admit it, it’s kinda fun! then trim it off so you don’t have too much. 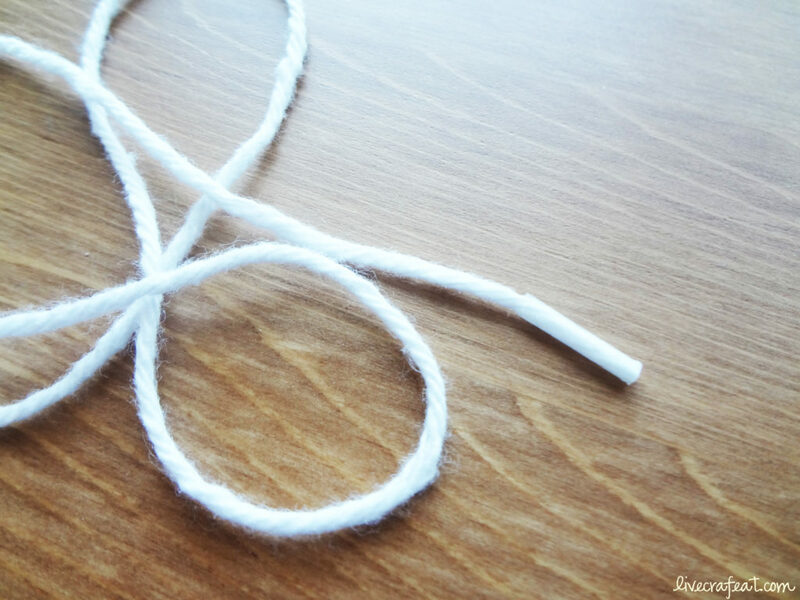 11. once you’ve trimmed your string, take a little piece of tape and wrap it around the end. trim off the top so it’s nice and even. then to help even further from fraying, dab a little bit of mod podge, since you have it out anyway, on the very top. 12. next, you’re ready to hand it over to your child and let them have some fun! 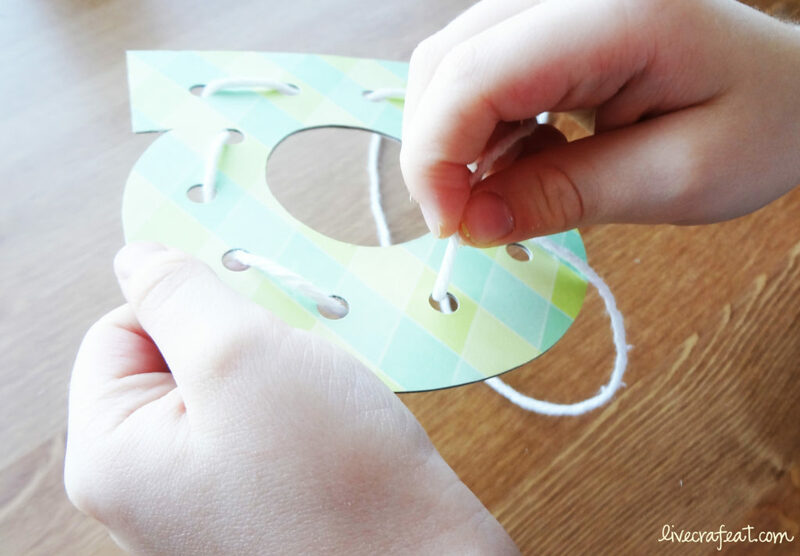 younger kids just may be happy with getting the string in whatever holes they want to, where as with older kids, you can encourage them to string in the same directions you would normally use when writing a letter on paper. my kids have had a lot of fun playing & learning with these! 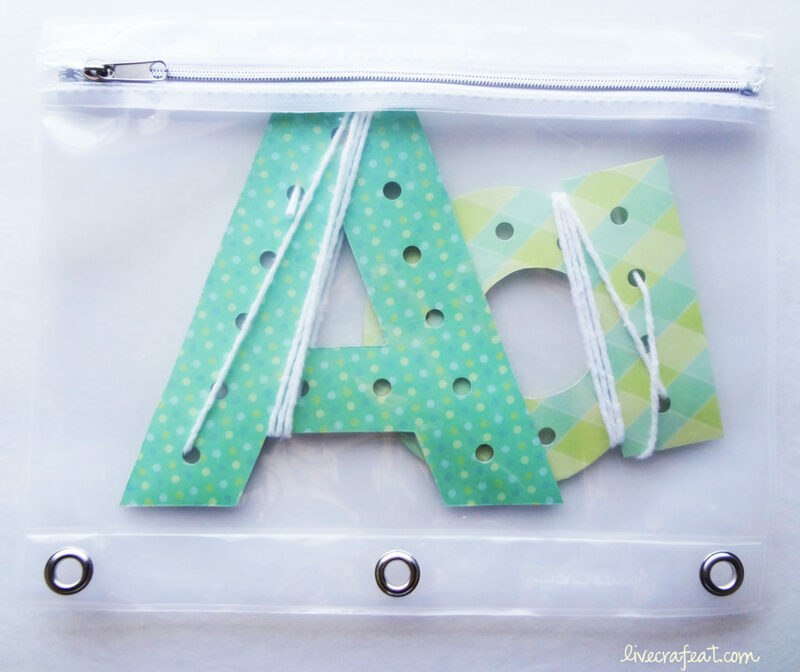 they pack up really nicely – wrap the string around, and put it in a plastic ziplock bag or large pencil case. have fun learning! do you like this idea? pin it here to share with all your friends! This is such a great idea. I usually make lacing cards by printing on cardstock and then laminating, but that can get somewhat expensive. Next time I’ll definitely use an old cereal box instead. Thanks for the idea! This is such a great idea! I love it whenever I can make things with/for my children that’s not only fun for them to do but also encourages learning. I am sure they will be using these for a long time to not only learn their letters and how to write them, but also then turning them into a spelling exercise all while they just think they are having fun. Thanks! Hey there, I’m loving this idea!!!! question on your lower case letter like ij that have the dot above the letter what did you do? i was just wondering how you had your child do that or did you not use it? great question! for the dots, i didn’t punch any holes but rather just put the whole circle(s) in with the rest of the letters and after they’re done lacing the bottom of the letter they just add the circle on top. but you could certainly add a hole or two in the circle and they can lace that as part of the letter, adding it on at the end. I hope you don’t mind. I would like to link your post to mine. 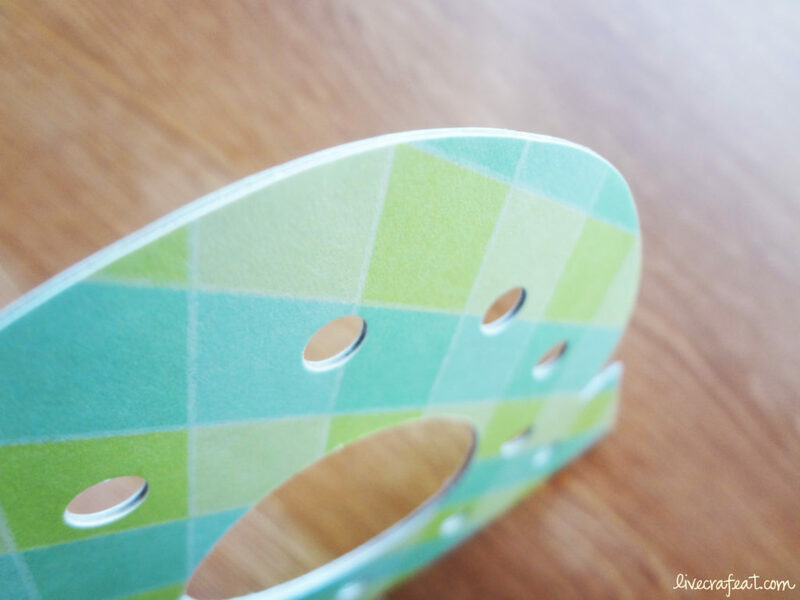 I have created my own lacing cards for my son and am blogging about them. I did not want have everyone think I was the originator of the idea. Therefore, I am linking over to yours for that credit. Thanks for the post. I love doing these for my boy. This is great! Is there a template for the lowercase letters? 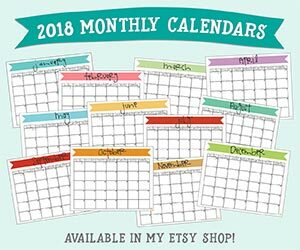 I didn’t do a lower-case template when I did this post just because some of the letters have a dot on top (like j, or i, etc) and I wasn’t sure how to do those. For my kids I just did without the dots, but I wasn’t sure how other people would receive that so left them out altogether.